Posted on 03. Jan, 2016 by Fieldhammer. I saw this beer bottle in a pal’s refrigerator. 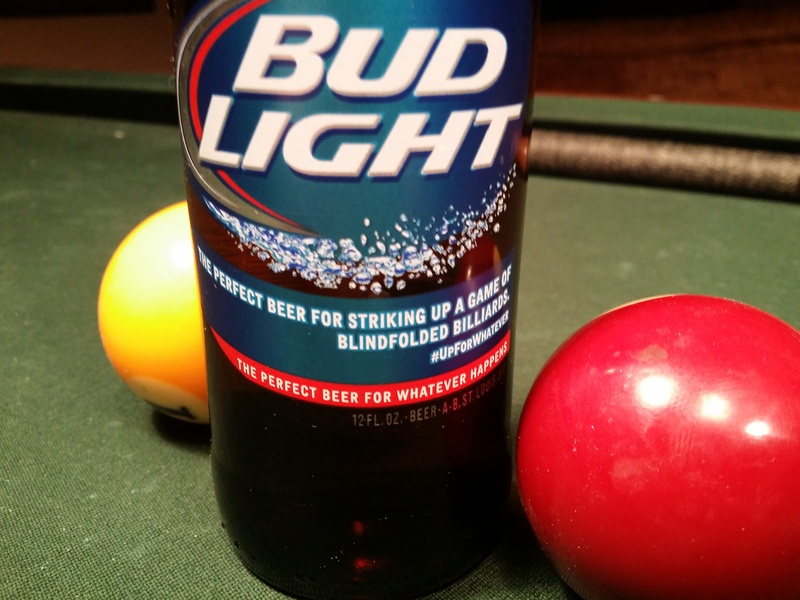 The slogan reads, “The perfect beer for striking up a game of blindfolded billiards.” I suppose “Strip Straight Pool” wouldn’t have been approved by the ad execs. Personally, Iwould like to see an ad campaign by a national brand that helps the Billiard Industry. Posted on 01. Apr, 2011 by Mike Fieldhammer. 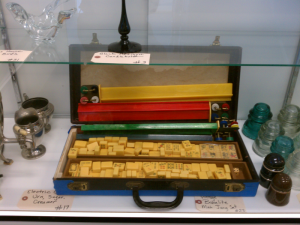 Mahjong and antiquing: Good for your game and soul. Many pool players have addictive personalities. It’s easy to go overboard and overdo things. Once in a while taking a week or two off from pool playing can be a smart idea. You can unwind and come back with new energy and excitement to play the game. In Minnesota, the pool scene tapers off in the summer. Sometimes a break of a couple of months is perfectly understandable and maybe even advisable. The weather is nice and outdoor activities can have rejuvenating powers. Use this time to take in fresh air and work on other pursuits that will have a positive impact on your pool game. Golfing can help your pool game. are common to both sports. Like my dad says when I drain a long putt, “That’s because you’re used to looking at balls on a green surface.” I know the skills and techniques translate nicely between golf and pool. 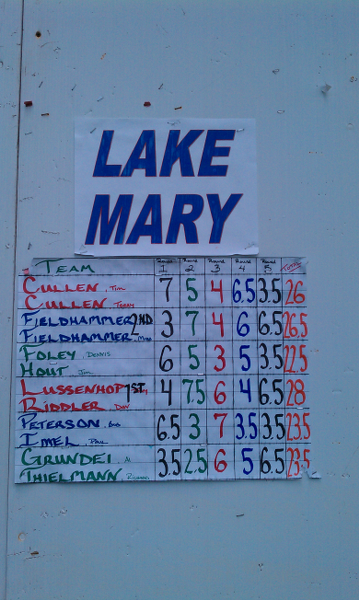 When the golf season ends, your pool game can be markedly improved without hitting a single ball (cue ball that is). If a couple of months away help the game, why not a year or more? This technique can work too. Especially if it is combined with yoga, tai chi, or some other means of improving the mind and body. We all know focus and calmness bring out the best in one’s pool performance. Zen-like control of emotions during a match can yield an overwhelming advantage over frazzled and weak-willed opponents. 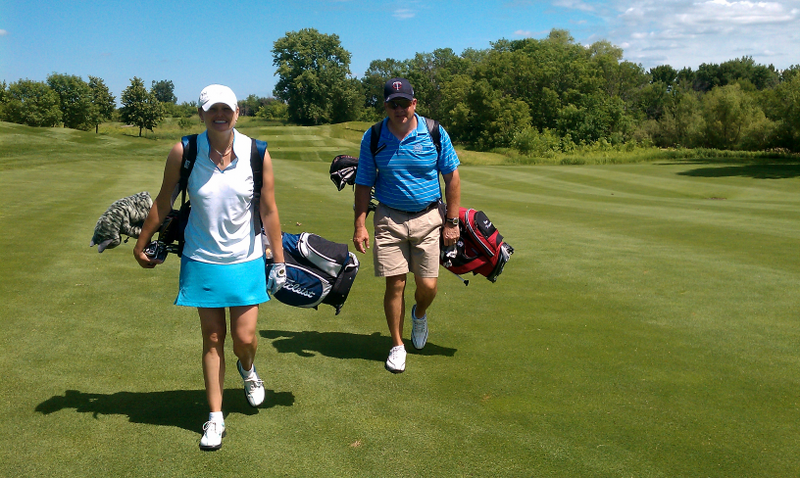 A year or more away from the game can erase baggage carried by your subconscious. Tough losses, memorable mistakes, and personal conflicts with other players will be replaced by enlightenment and enjoyment of the moment. The journey of pool will cease to be the path to suffering. 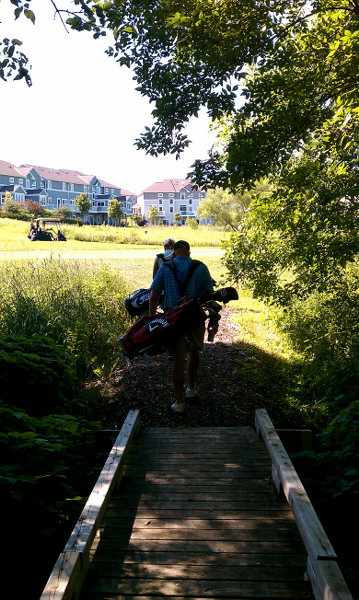 Sometimes the path to excellent pool is some time off and some golf. Becoming a well rounded pool player should include other pursuits besides just playing pool. The economic crisis we are in has made many players rethink their level of involvement in leagues and tournaments. Don’t feel shame in taking a break from the game. You’ll save lots of money, spare your ego humiliating defeats, and could return a completely new player. Occasionally enough time will pass that you can enter a lower division in a tournament. This can be the ultimate gift to yourself. What you don’t understand is that with all that time golfing, practicing yoga, and other worthwhile pursuits, you’ve been saving money and working on your pool game. Golf course sandbagging and competitive practice. Posted on 26. Jan, 2011 by Mike Fieldhammer. Well worth the time to know which rules rule. Many players in the United States enjoy participating in pool leagues. We’ve got many choices including BCAPL, APA, VNEA, ACS, UPL, TAP, and countless other regional or local acronyms to pick. 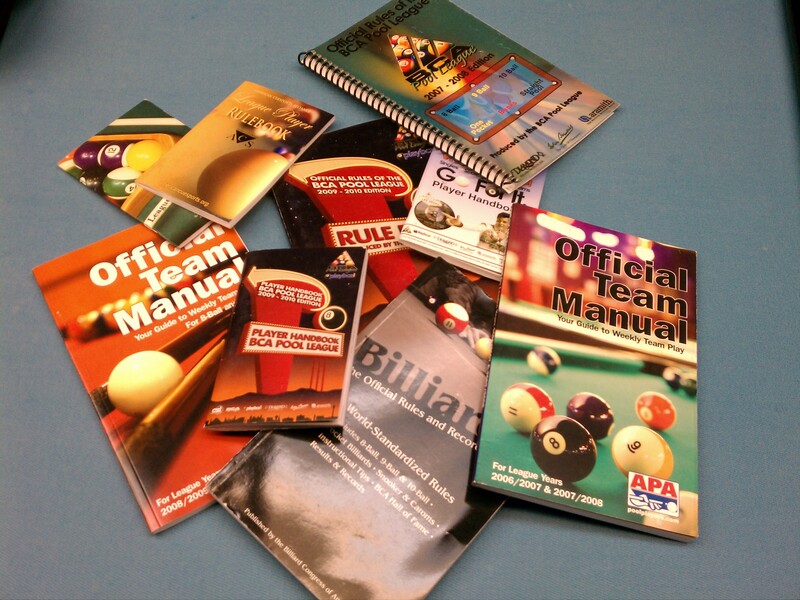 Trouble for an active pool player is to know which set of rules is being used at various tournaments as well as casual play in a pool room or tavern. The official global federation that has a very complete list of rules is the World Pool-Billiard Association known as WPA. I think they have a pretty good rules committee and revise the rulebook every few years. It seems that every league organization customizes the WPA rule set to best suit league and tournament play for their customers. You must be familiar with each set so you can take advantage of fouls by your opponent, avoid making fouls, and so that you aren’t taken advantage of by being ignorant to the prevailing rules. BCAPL: In 8-Ball, a scratch on the break shot is now ball in hand anywhere on the table not just behind the head-string. VNEA: In 8-Ball, if the table is open(if no player has stripes/solids as their group of legal object balls yet) you may call safe and establish your group by legally pocketing an object ball. APA: In any game, jump cues are not allowed. WPA: In any game, the table or rail cannot be marked with anything. VNEA: In 8-Ball, the eight ball is neutral after the opening break shot and may be used as the first ball contacted in a combination shot to establish stripes or solids. BCAPL: In all games, phenolic(Non-Leather) tips are forbidden on break cues. Phenolic and some other man-made materials can be used on jump cues. APA: In 9-Ball, calling a push out after the opening break shot is not allowed. APA: In 8-Ball, Stripes or Solids is determined on the break shot if there is no foul and only one suit is pocketed. The table is still open if nothing drops or one or more of each suit is pocketed. These are just highlights of a few rules that differ depending on which set of rules is in play. Do your homework and know the rules so you don’t make any silly mistakes. Posted on 25. Jan, 2011 by Mike Fieldhammer. Get into the action at a tournament through the Calcutta. A friend of mine asked me to clarify exactly how a Calcutta works at a pool tournament. I have been to many Calcuttas and I witnessed a first just last weekend at Fargo Billiards. The full field player auction of 82 players gathered over $10,000 into the side pot. 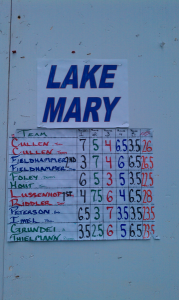 Great payouts for the 82 players that braved the -20 degree weather! Most people know that North Dakota is doing very well despite the recession, but I thought the big money was in the Western part of the state near the oil fields! Here’s the breakdown of a Calcutta that I sent to my buddy. I’ll be happy to explain the Calcutta for you. Sometimes they also call it a “Player Auction” which occurs before the tournament begins. Money collected in the bidding is paid out to the owner of the player(s) they bought before the tournament began. 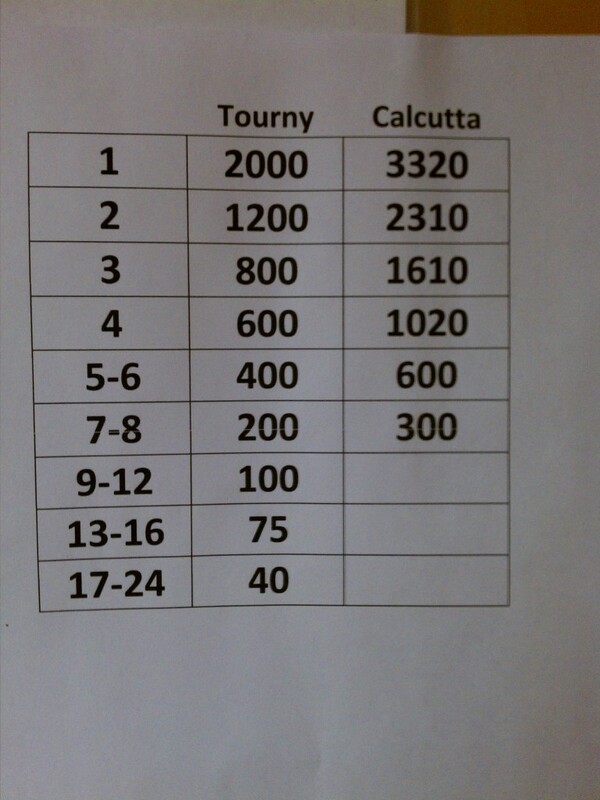 Sometimes in a tournament with 32 players, the Calcutta will pay out the top 4 spots. The cash in the bidding pot might be split up as follows: 1st place 40%, 2nd place 30%, 3rd place 20%, and 4th place 10%. Sometimes players feeling confident will purchase themselves in the Calcutta so they have a chance to win a nice side pot if they finish high enough in the tournament. Most often, it is a spectator or other player that buys someone in the Calcutta. Many times, some friends will form a small “corporation” and pool their money to buy several players to they have a few chances to get one of their players into the Calcutta money payout. With very, very few exceptions, the player ALWAYS has the option to seek out their “Owner” and purchase half of themselves back. The winning bidder must accept half their bid in cash from the player and then each party owns half and are each entitled to half the Calcutta prize money if the player finishes in a payout slot. The auction begins before the tournament. The list of players is printed out for all players and spectators in the pool room to examine the list and evaluate who they think might have the best chance to do well in the tournament. This whole Calcutta procedure must happen just after registrations for the tournament is cut off but before the draw is done and the matches are posted on the tournament bracket. This would give Calcutta participants an unfair advantage and cause a huge bottleneck if people tried to see which of the top players might have the easiest path to the finals. After the first two bidders choice picks, the rest of the field is auctioned off one at a time down the list. The auctioneer says “Next player for sale is Mike Fieldhammer, player and instructor from Minneapolis. Where’s Mike? Raise your hand please, Mike. There he is! Mike, do you have $50 on yourself? Yes! Okay, do I hear $100 for Mike Fieldhammer?” And so on until every player in the field is sold. Sometimes in a smaller Calcutta, some of the less talented players won’t get any buyers and the player might not want to purchase himself either. In these cases, all unsold players go into a pool of players called “The Field.” At the end of the auction, “The Field” is then sold to the highest bidder. Say there are 5 players in “The Field”, the auctioneer will read off the players that are lumped together and bidding progresses as usual. Anyone who buys “The Field” cashes in if ANY of those players finish in the payout positions. Players in “The Field” have no option to purchase half themselves. They had their chance to buy all of themselves during regular bidding and it isn’t fair to the owner of “The Field” because it would be impossible to figure an equitable payment for a fraction of the winning bid. One thing that I must stress is that I am absolutely against any kind of garnishing the Calcutta monies for the pool room or tournament director to make a little extra profit. Sure, I understand that it is some extra work to run a Calcutta, but the room or TD should already be paid for putting on the event. I believe that getting greedy by withholding cash is a terrible practice that hurts the image of the event and sours players on bidding. The wise guys who buy players figure odds and returns on investments and scoff at a tampered prize pool. I say to those rooms and TD’s that skim, please leave it as a bonus for the Calcutta participants. The prize money will be higher and more players and spectators will come to an event that is on the level! Fargo Billiards takes it one step further. I’ve got to say again what a first class operation Mike Page and Rory run at Fargo Billiards & Gastropub. There was another first for me at a pool tournament. They laid out a free breakfast for players an hour before the Calcutta began. The auction started at 11 a.m. Saturday, so delicious scrambled eggs, bacon, bagels, muffins, and coffee was laid out and it was fantastic. I think it a was very generous gesture to thank players for attending the second annual event in -20 degree Fargo weather. It also had benefit of getting many people into the building in the morning and putting them in a giving mood to add some extra action into the Calcutta. I see David Wiebelhaus is down there too. Good luck in the 9-ball! Ads that help pay for this site. 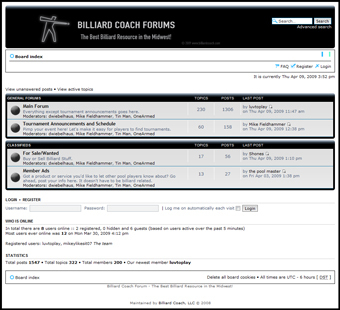 © 2011 Billiard Coach – Mike Fieldhammer. All Rights Reserved.